One of the surprising results was Xu, who lost out in the Laser Radial lead. She has been a favorite as she was the defending champion from the 2012 Olympic Games. 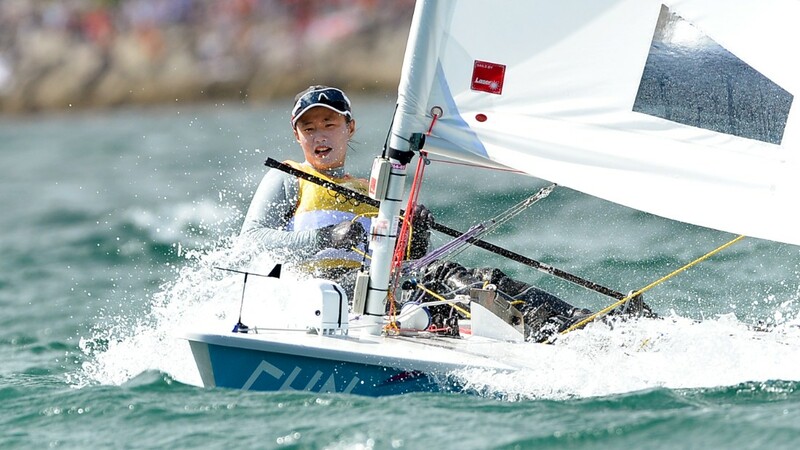 However, with a surprise turn of events Xu lost out the top spot that she gained in the Laser Radial category. She was disqualified in the second race out of the two races on Monday. The incident occurred when Paige Railey from US put in a protest as right of way. As per her protests, the boats that are on the starboard tack are those which have the wind coming on the right side when they are facing forward and towards the bow. These boats have right of way over boats that are on the port tack or which have the wind coming in from the left side. Xu told this website that the upwind leg in the last lap had been difficult. She could not cross it properly. She thought she could do it, but she messed up. She took in penalty turns which interfered with right of way for rival sailors. She still lost out when the protest came in. As she got disqualified from the second race the positions of the other racers changed subsequently. Marit Bouwmeester from Netherlands moved to the first place. She did so with ten points. Dane Anne Marie also benefited and moved into the second position with Annalise Murphy from Ireland contesting her closely with a difference of one point in the third place.